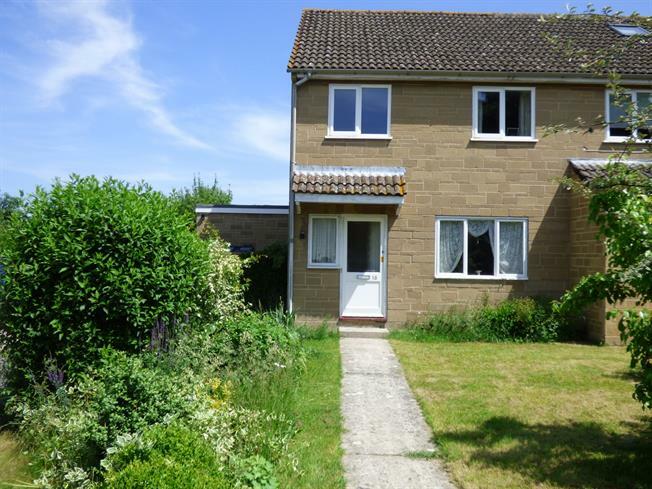 3 Bedroom End of Terrace House For Sale in Martock for Guide Price £195,000. Extended three bedroom end of terrace property in an established cul-de-sac location with rural views. 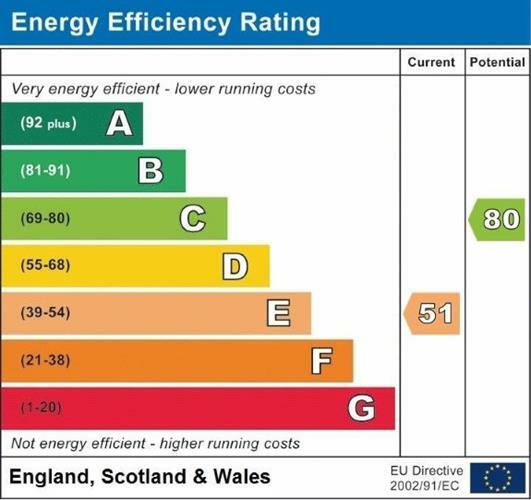 Whilst requiring general updating the property has a recently installed oil fired central heating boiler. Externally the property has corner plot gardens and a garage at the rear. In brief comprising hallway, dual aspect sitting room/dining room, extended kitchen/breakfast room with oven and hob, three first floor bedrooms and a family bathroom. Secondary glazed windows to both the front and rear elevations, central re-constructed stone fireplace and matching television display plinths and hearth, radiators, under stairs cupboard. UPVC double-glazed windows to the rear and side elevations, uPVC double-glazed door to the garden. Fitted with a range of base and wall mounted units with laminated work surfaces, single drainer stainless steel sink unit, tiled splash backs, fitted four ring electric hob and separate oven, freestanding oil fired central heating boiler. UPVC double-glazed window to the front elevation with rural views, built in wardrobe with sliding doors, radiator. Window to the rear elevation with garden view, built-in wardrobe with sliding doors, radiator. Maximum measurement. UPVC double glazed window to the front elevation, radiator, built in cupboard. Window to the rear elevation, suite with tiled splash backs comprising W.C, wash-hand basin, bath, radiator. Laid to lawn with a variety of established trees and flower shrubs, laid to lawn with pathway to the front door. Fully enclosed by both wall and fencing with gated rear and side access, oil tank, laid to lawn with seating areas, established trees and flowering shrubs. Situated at the rear of the property with an up and over door, of a single size.